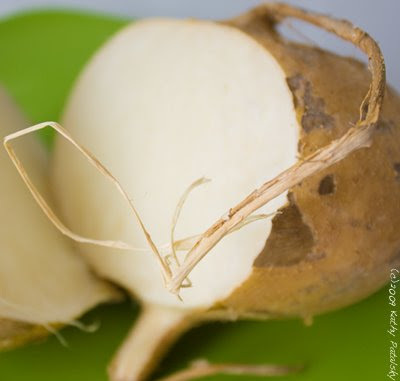 Jicama Nutrition: Let's be honest, there's not a whole lot of nutrients in jicama. But it is high in Vitamin C and low in calories. One cup has around 40 calories! It's also very high in fiber. That same 49 calorie cup has 6 grams of fiber. Diet food: yes. 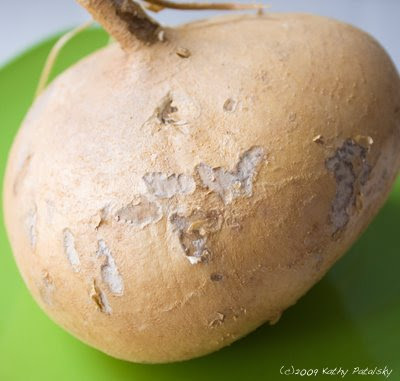 Jicama: Cure for Celery Fatigue? Sometimes life calls for a super crunchy hydrating veggie. For many people that veggie is celery. Well jicama is another super crunchy veggie than you should add to your vegetable repertoire. It's sweeter than celery and much less grainy to chew. It's almost like biting into and sucking on sugarcane...if you have ever done that before. 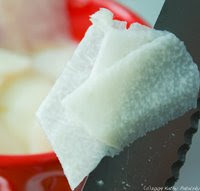 Choose jicama that is firm and has few spots. A nice smooth tan color is desirable. 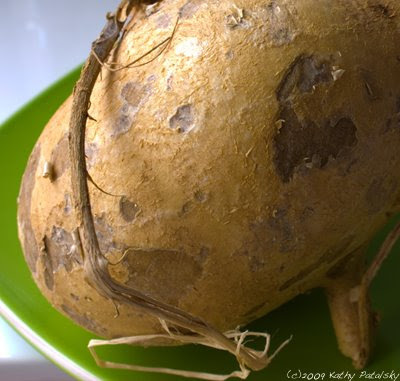 As a jicama ages it will wrinkle, dry out and the spots will darken. 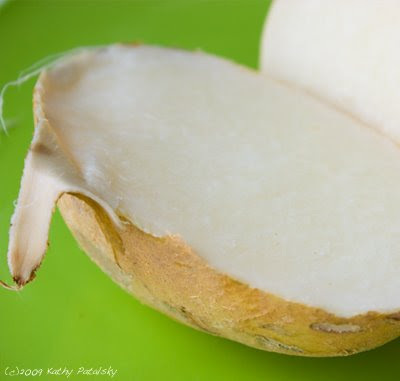 Jicama can sit in our fruit bowl for a few weeks if needed. No refridgeration is required, but also optional. Serving: Slice, grate, chop, dice or simply peel and much! Jicam is a versatile veggie that can be eaten raw or cooked. 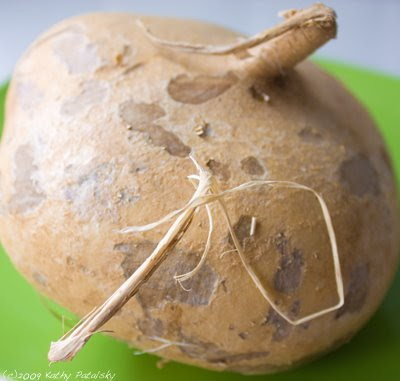 Other names: Mexican potato, Mexican yam bean, ahipa, saa got, Chinese turnip, lo bok, and the Chinese potato. Member of the legume family. Root veggie. references: nutritiondata.com, foodreference.com and personal usage.